It's on, it's off, it's on, it's off, it's on again. Yes the Malvern Hills Trust has twice cancelled this meeting as a result of objections raised by residents, but after spending thousands of pounds of public money on legal advice, the Board are finally planning to vote on this controversial Easement. Directions: from Court Road turn into Thirlstane Road, proceed under the railway bridge and immediately turn right for the Gryphon Room and Sports Complex. The meeting papers can be found on the MHT website. Please do come along with your friends to this very important meeting to show your support for refusing this application to build a large access road across the Common adjoining the Guarlford Road. The Malvern Hills Trust is still awaiting legal advice from Counsel regarding matters raised by residents. They expect a new date will be announced at or before the next meeting of the Board on 14th March. The original meeting had been planned for 20th November 2018. The Malvern Hills Trust announced at the Board meeting on 17th January that the special meeting to decide the Chance Lane and Jackpit Lane easements had been provisionally rescheduled for Thursday 28th February 2019 at 7:00 pm at the Chase High School. If you wish to ask a question at the special meeting this has to be lodged with the Trust by noon on Friday 22nd February. This can be either sent by email or handed in at reception. The Rose Farm Partnership is seeking this access to facilitate planning permmision so that the field can be sold at a large profit to a developer which could lead to the building of two and three storey houses in the field known as Rose Farm opposite the Green Dragon pub on the Guarlford Road. If you object to this proposal, which could damage the eastern gateway to Malvern, please come along to the meeting on 28th February and support other residents. 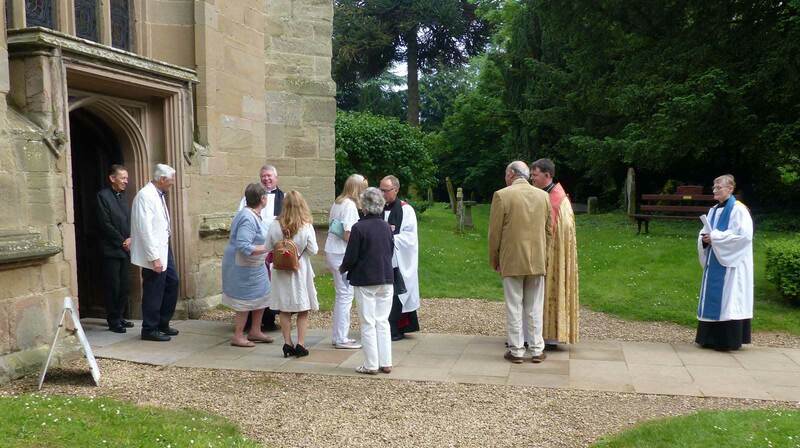 Contact details for Rev Gary Crellin amended on Benefice page. Rev Gary's Epiphany message added to Benefice News. Church services for January added. Addition of a prayer for Brexit, and Rev Gary Crellin's advent message. Noticeboard also updated and agenda and draft minutes added to Guarlford Parish Council meetings page. Rev Gary Crellin has announced that a new website is to be developed to serve the four churches of the Benefice: St Mary Guarlford, St Mary Madresfield, St Peter Powick and St James Callow End - for further details see Benefice News page. An important event is happening in the background, which you might not be aware of. The Malvern Town Neighbourhood Plan is now with Malvern Hills District Council who are running a public consultation between 9th November and 21st December 2018. Please support the Town Council by submitting a Response Form and emailing it to the MHDC recommending the Town Plan is accepted (or any other comments you might wish to make). It is the responsibility of Malvern Hills District Council to collate all the responses and forward them on to an independent examiner, who will consider the responses and the Plan documents when assessing whether the Neighbourhood Plan meets the relevant legislation. If that hurdle is past, the plan will lastly proceed to a referendum in which townspeople will be able to vote whether or not to adopt the plan. Briefings on SWDP phase II are taking place at various venues in Worcestershire during November. There will be a chance to see the latest proposals at the Lyttelton Rooms on 26th Nov; see Noticeboard. The Trust announced on 15th November that the special meeting on 20th November had been postponed due to unforeseen circumstances. The Malvern Hills Trust announced at the Board meeting on 8th November that the special meeting to decide the Chance Lane and Jackpit Lane easements would be on Tuesday 20th November at 7:00 pm in the 'cricket pavilion' next to the Council Offices otherwise known as The Council Chamber. 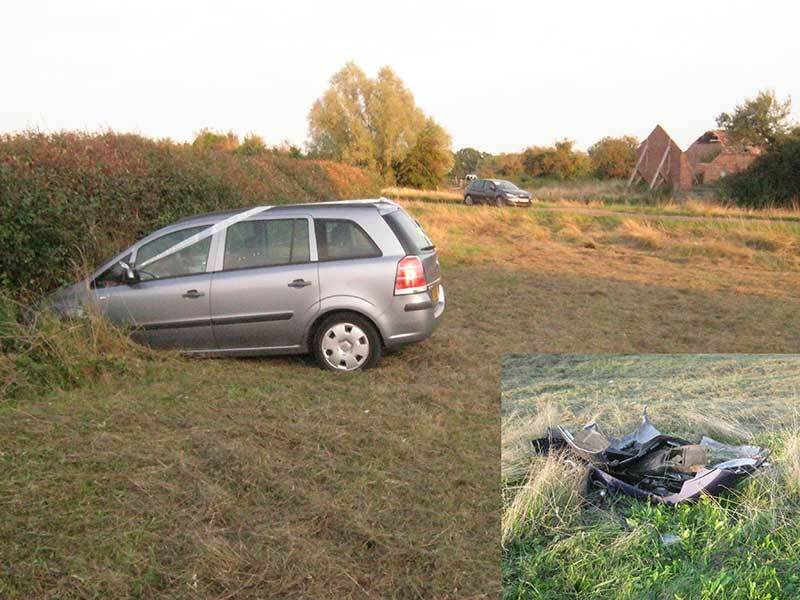 An accident occured on Friday afternoon when a vehicle pulled out of Chance Lane into the path of a car travelling towards Guarlford from Barnards Green. 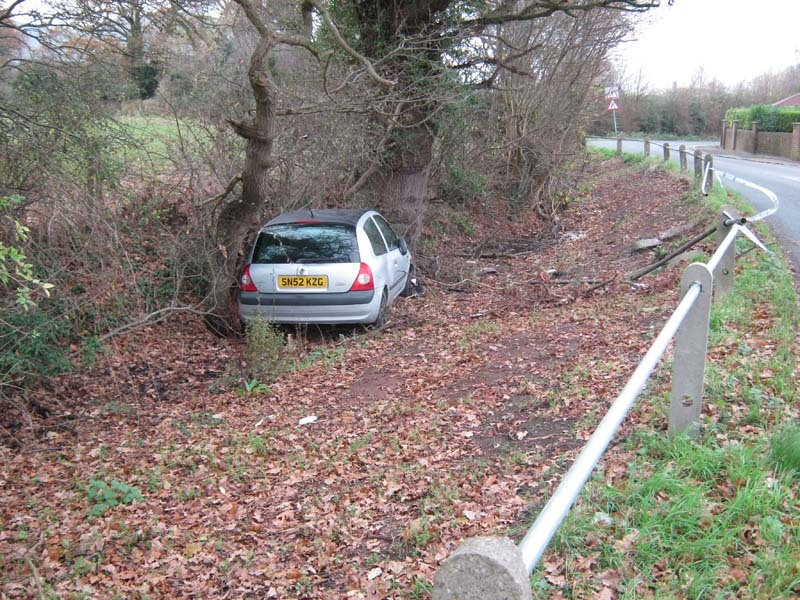 One vehicle careered across the common into the hedge. website forwarding is set up so that if you type the old domain name www.guarlford.org.uk into your browser you will be directed to the home page of the new website. Residents are becoming very concerned about local Easements being considered by the Malvern Hills Trust, and a meeting is planned for Wednesday 8th August in the village hall - see noticeboard. On the noticeboard you will also see that the Guarlford Parish Council is seeking applications to fill the post of Parish Clerk as the present clerk will be retiring in September. On Saturday 14th July some of the residents adjoining Rose Farm received letters delivered by hand advising that The Rose Farm Partnership, about whom nothing seems to be known, was requesting an easement from the Malvern Hills Trust (MHT) with a view to building a large housing estate in the field opposite The Green Dragon. The MHT has known of this application for over a year, but has told residents that any comments must be forwarded to them by 30th July. There will be a meeting of Guarlford Parish Council on Wedneday 25th July 2018 at 7:30 pm in the village hall at which this matter will be discussed. See Noticeboard for further details. Details of this annual event organised by the Friends of Madresfield School can be found on the Noticeboard. The Annual Financial Return of Guarlford Parish Council for FY 2017/2018 has been added to the website and can be found on the Parish Council Finance page. Also added is a document stating the period during which the public can comment on the accounts. Smaller authorities are no longer subject to external audit, subject to certain safeguards, and this is set out in the Certificate of Exemption. An important event happened at St Peter Powick last Sunday when a service was held, led by Bishop Graham of Dudley, to inaugurate the Reverend Gary Crellin to the Parishes of Powick and Guarlford and Madresfield with Newland. The service was well attended and afterwards participants were treated to tasty refreshments in Powick Village Hall. Addition of a new article in which Sam Beard remembers meeting Oliver Churchill who was later to become an SOE agent operating in and around Italy during WWII. Sadly this event will not now take place, as the field used for parking is waterlogged. Last Sunday it was announced in church that a new Rector has been appointed. He is Revd Gary Crellin and further details of the appointment can be found on the Diocese of Worcester website. A company known as Brunning and Price is interested in purchasing and renovating the Plough and Harrow pub and are holding an open afternoon on Thursday 8th March from 3 pm until 8 pm at Guarlford Village Hall to share ideas before applying for planning permission. Do take this opportunity, to look at the proposals and put forward your views. WI programme for 2018 added and news updated. Please note that 11:00 AM Mattins at Madresfield has been cancelled due to the forecast bad weather. The Carol Service for the parish of Guarlford and Madresfield with Newland will be held this year at St Mary, Madresfield, on Sunday 17th December. On the 19th November a special service was held at St Mary Madresfield to mark the 150th anniversary of the consecration of the church on 10th November 1867. This was well attended and afterwards the congregation was invited to refreshments at Madresfield Court. You may have noted that the November issue of the Grapevine was a special edition to mark the 150th anniversary of St Mary Madresfield. The edition is designed so that, with care, the centre section about the history of the church can be pulled out and retained as a souvenir. At the public consultation meeting about the brewery's application to seek change of use to residential, in order to facilitate the sale of the property as a home, it was suggested residents make representations through the planning website, backed up by letters to councillors on the planning committee. The application is likely to be discussed at the next meeting in January 2018. Residents are encouraged to attend the meeting. The members of the Guarlford History group extend their sympathy to Mrs P Smith, who has written to advise us of the death of her Aunt Amy Clifford (nee Neal) at the age of 99 years. We were very grateful to Amy for the vivid account she gave us of growing up in Guarlford. An application has been made to convert the Plough and Harrow from a Public House to residential use. A public meeting will be held in the village hall on Monday 20th November at 7:30 pm to discuss this - see noticeboard. Church services for October added, and noticeboard updated. 1st September 2017 Church services for September added, and noticeboard updated. On Saturday 5th August several people from the parish joined a Book Launch at the Malvern Book Co-operative in St Ann's Road, Great Malvern. 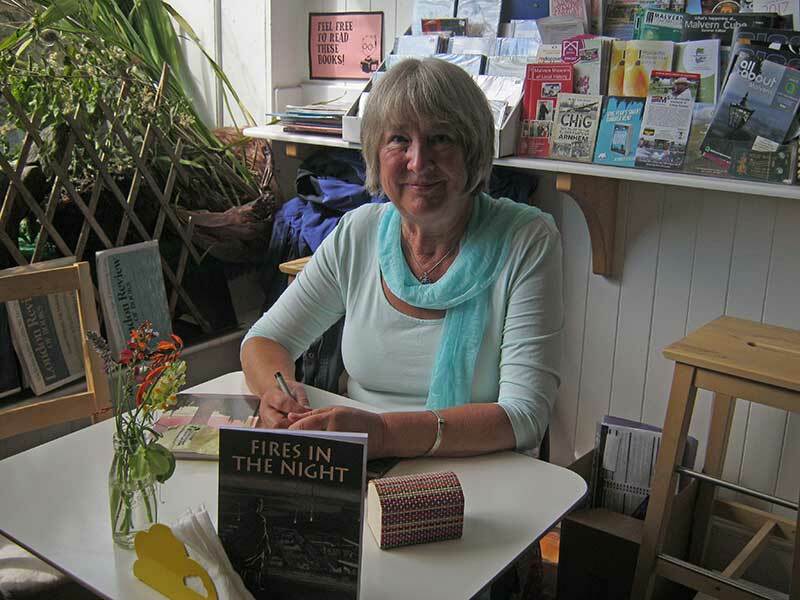 Mary Jarratt, who until recently lived in Guarlford, was introducing her first children's book Fires in the Night set in the dying days of Roman rule in Britain. The tale came to life when Mary was teaching a class of Year 2 children in Essex about Roman life. Unable to find a suitable story to read to them, Mary made up her own, based on Colchester, which she has now had published. 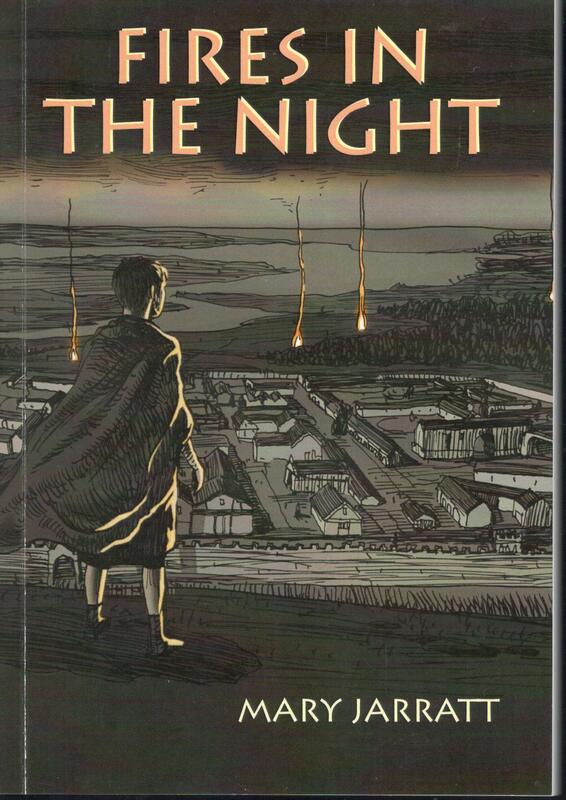 'Fires in the Night' is not only an exciting narrative by a young boy called Justin, son of a centurion, but also gives a vivid picture of a city like Colchester in Roman times. What begins as a forbidden walk along the top of the city wall leads to Justin and his friends discovering a plot to betray the city to the Saxon invaders. The book, priced £6.99, has been designed and published by John Bradshaw of JRB Publishing, Guarlford, and printed by Aspect Design, Malvern. The book is illustrated by Joel Mercer.Mary is now working on a second book - we shall look forward to that. Link to Parish Council annual accounts added to Financial Reports page. Noticeboard updated with dates of the Three Counties Show; Civic Week, when there are lots of interesting events going on in Great Malvern; and festivals at Upton upon Severn. 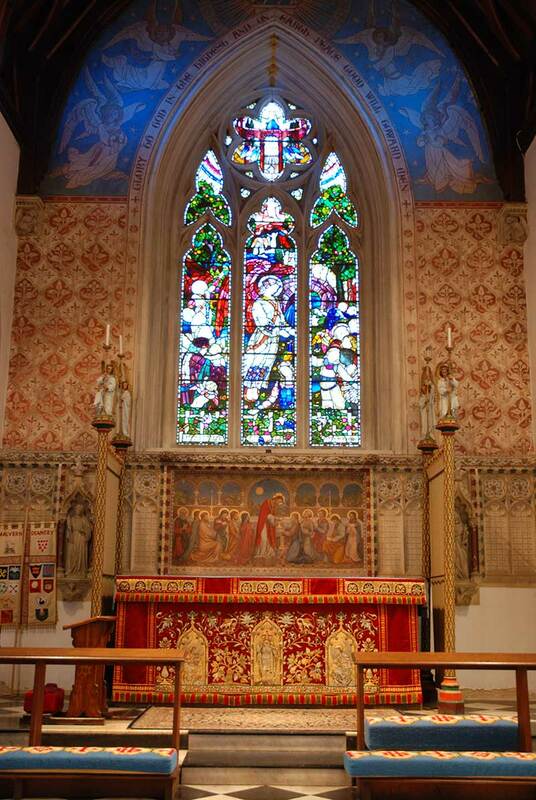 New page added giving an overview of the ecclesiastical parish. Church services updated, Rural Dean's contact details placed on benefice page as temporary measure prior to appointment of the next Rector; minor edit of PCC members page. In consequence of this sad event there is a casual vacancy on Guarlford Parish Council, and a formal notice about filling the vacancy has been published by the clerk of the PCC. Please click to open and read the document in pdf format, in a new window. Our new Tree Warden is Jenny Cameron, and our new Parish Path Warden is Richard Worthington. Item added to the noticeboard about the roll out of 'superfast' broadband in Worcestershire. It looks like this might not be available in Guarlford and Madresfield villages, except for one or two properties, for two years or more, but do say if you know different. The short story about the Packhorse Way has been amended with the addition of two paintings by Victorian art teacher George Paterson Yeats. One is of the old Elm which once stood on the corner of Hall Green, and the other is of the cottages which once stood at Rose Farm opposite the Green Dragon. The noticeboard has also been updated and church services added up to New Year. Dates of WI meetings in June and July updated. We are pleased to announce that the new Churchwarden for St Mary Guarlford is Mr Christopher Lester. Chris has taken over from Don Hill who has been Churchwarden for many years - thank you Don for all you have done, and continue to do, for the village church. Remaining links to photographs have been added to the Survey of St Mary's Churchyard. Bearing in mind the possibility of human error, do please advise of any concerns or corrections needed using the email address listed under Contact Us. The noticeboard has been updated and church services posted for the period through to Easter. Please note the deadline for copy for the Grapevine will in future be the 8th of the month. The list of church services has been updated to show January events, and includes details of services at Madresfield, Powick and at St James Callow End. The WI news page had been updated, and the WI programme now shows events in 2016. The November issue of The Grapevine has been posted through letter boxes and from this details of Christmas events such as the Guarlford Christmas Bazaar have been added to the noticeboard. Church Services up to the end of December have also been added. 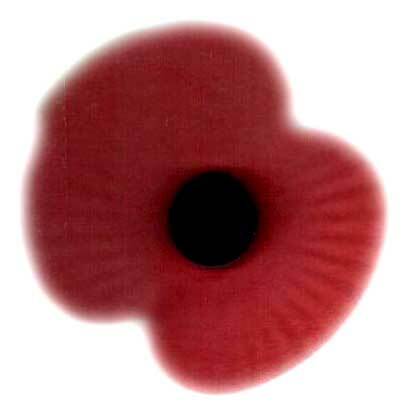 The Remembrance Day service at St Mary Guarlford on Sunday 8th November will be at 9:30 am. Extracts from the Foley Estates Sale Catalogue. A partial transcription has been made from the sale catalogue about many fields and cottages lying either side of the road between Barnards Green and Guarlford, and the people living there at the time. To this have been added some old and modern photos from the Guarlford History Group archive. A link has been added to the GHG Reminiscences page. This is the first draft, to which over time we hope to add more background notes. If you have anything you would like to add please let us know. A planning application has been submitted seeking a field entrance into Chance Lane from the field known as Rose Farm which already has a field entrance on the Guarlford Road. Noticeboard updated with information about forthcoming Fun Quiz Evening and Harvest festival. Fifty photos of memorials at the eastern end of the churchyard have been added to the 'survey of the churchyard' page. It is hoped to complete the photographic record by late Autumn. News page updated with information about family friendly activities at St Mary Madresfield. Many thanks to all those who helped at the Madresfield Court Open Gardens and Fete event on Saturday 6th June, including those who donated items for the stalls and baked for the tea room. Luckily the weather held dry and everyone seemed to have had a good time! Planning is well advanced for the Madresfield Court Open Gardens and Fete on Saturday 6th June, 2 - 5 pm. This event is by kind permission of Mr & Mrs Chenevix Trench and is in aid of Madresfield C of E Primary School and the parish churches of Guarlford and Madresfield. Entry is £5 per adult, accompanied children 11 years and under free. 1st March 2015 Details of Daffodil Sunday on Sunday 15th March at Madresfield Court added to noticeboard. Worcester County Council has advised that due to financial cutbacks the mobile library fleet is being reduced from four vans to one and from 31st January 2015 there will no longer be stops at Guarlford and Madresfield. 18th Jan 2015 Story added about the Tudor Edwardes sisters who are buried in the churchyard. More photographs of memorials in the churchyard, taken last year, have been added to the website. That leaves the remainder of the eastern and southern sections to be completed once the weather gets warmer. The page about baptisms at St Mary has been extended to include a list of past curates and rectors, and mini biographies of some of the clergy who officiated at baptisms. 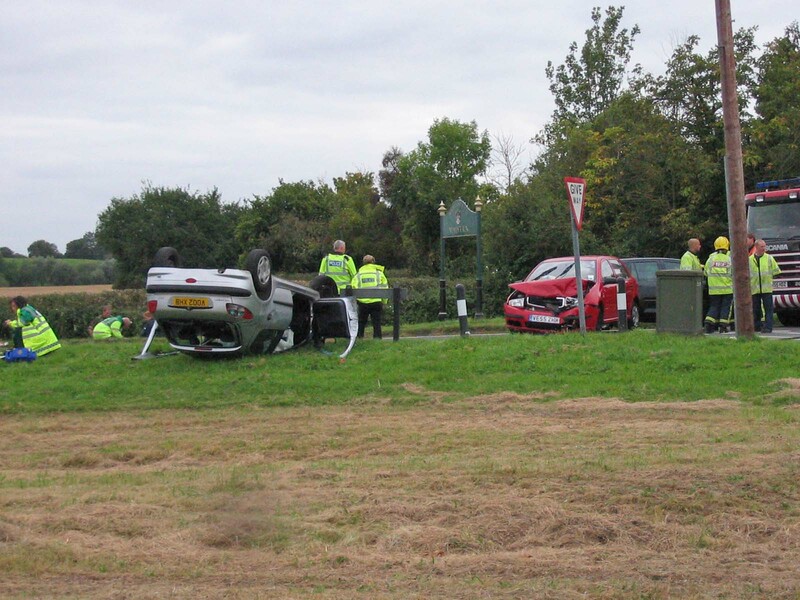 On Monday morning a car was reported well in the ditch on the west side of Chance Lane - near the bend at the junction with Grove House Farm. See photos below. There is police tape blowing into the road so take care if you are cycling. Church services for December are now on-line. The Impact of War, has been published on-line (see link on GHG publications page). Lest we forget page further updated; an image of the 'Roll of the Fallen' in Hanley Swan village hall has been included. The Guarlford Story is still available from the Malvern Book Coop, but only a few copies remain. 4th August 2014 Work has begun on taking photos of memorials in the churchyard to link with the survey of churchyard inscriptions (20% complete). See noticeboard for alert about Giant Hogweed. A microfilm of baptisms at St Mary 1843 to 1884 has been discovered at Worcester Records Office at the Hive, click for more information. Addition of Parish Council financial statement for 2013/14. Chairman's report for 2013 - 2014 and minutes of 10th March meeting added to website. Transcription of the monumental inscriptions recorded in 1990 is now complete, plus some notes have been added. Minor amendments have also been made to the churchyard page and information received from the Beckwith family who have a memorial in the churchyard. A survey of memorials in the churchyard was made circa 1990; we have begun transcribing the manuscript records for the website - a few more names added. The weather continues to be wet and windy, and many fields and footpaths remain waterlogged. The river Severn has overflowed its banks below the Powick bridge and at Upton, and on occasion the Hanley Road has been closed. 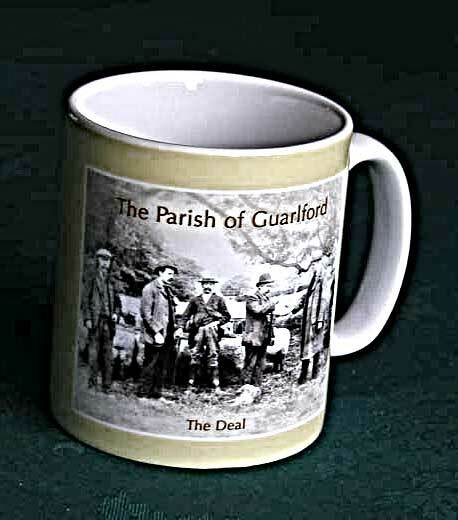 Stocks of the Guarlford mug are now running low, so if you want want one (or more) please contact a member of the Guarlford History Group or email the webmaster as soon as possible. The noticeboard page has been updated with information about church activities, the WI, and the date for Daffodil Sunday. A shortened version of the Guarlford History Group's story about John and Edward Archer has been published in the Grapevine. A number of friends have 'passed on' in recent months, who will be missed. The library in Great Malvern is in the process of being refurbished with work due to finish in April 2014. When visited today the reference section on the lower ground floor was not accessible, nor were certain areas on the ground floor, so it might be advisable to phone before making a special visit. The Worcestershire Hub customer service centre will be moving to the lower ground floor, to where the Job Centre will relocate. The cafe will remain where it is. Be prepared for some chaos and disruption during the next few weeks. The WI AGM will be on 12th November (not first Tuesday as published in the Grapevine). This year the Christmas Bazaar will be on 7th December in the village hall. History page added about the family of the Beckwith sisters who are buried in Guarlford churchyard. Their father was professional soldier Major General William Henry Beckwith (1766-1844). Teacher, Kenneth Woolley, who died in 2012, was the youngest son of Clarence William Woolley, the respected headmaster of Guarlford National School from 1923 to his death in 1941. Ken had happy memories of growing up in Guarlford and very kindly left a legacy to the church in his will. Story of John and Edward Archer added to the website. They were not only hotel keepers of Great Malvern, but also benefactors and churchwardens of St Mary Guarlford. On sale were commemorative mugs designed by Guarlford History Group member Michael Skinner. Please contact Eric or the Webmaster if you would like a mug, price £3. Guarlford History Group commemorates the 60th anniversary of the coronation of Her Majesty Queen Elizabeth II 1953 - 2013. Following the cancellation of Daffodil Sunday due to ice and snow, the PCC and the Friends of Madresfield C of E Primary School held a special fundraising event in the grounds of Madresfield Court . We are very grateful to our hosts for allowing us to use the lovely gardens. The weather held fine and a good time was had by all. Many thanks to all the helpers for their hard work, those supervising the parking of hundreds of cars, the Friends with the splendid Fete and the ladies of the two villages working so hard serving Teas in the Playroom. Over £8,000 was raised which will be shared between the Parish Churches of Guarlford and Madresfield, and Madresfield C of E Primary School. Contributions are invited towards replacing the church gates in Rectory Road. To a casual observer the gates may look fine but in fact there has been a lot of decay and further repair with filler has become impractical. Please note there has been a change since the Grapevine was published. New history page added about Revd William Joseph Fancourt who was the second incumbent of St Mary Guarlford between 1846 and 1851. New 'history' page added about people named in the east window and on the plaque above the west entrance. New page added about Victorian benefactor Charles Morris 1799 - 1856 who was a benefactor not ony to Guarlford but also North Malvern. Church news report added about Malvern Food Bank and how you can help. The 2012 Guarlford Christmas Fair again proved to be a festive and jolly occasion and despite the straitened times we are going through it raised a credible £1000.20 which was shared equally between village hall (towards its upkeep) and to the PCC (towards maintenance of our two churches). Much gratitude is owed to all our stall holders and helpers for their considerable efforts. Most of us are getting on a bit but still manage to rise to the occasion. (Though it was pleasing to see three generations of the Lockley family manning the Tombola Stall.) Cath Lockley and Wendy Bennett particularly wished to express their thanks to all who generously responded to their requests for tombola gifts. We are very grateful to all who supported the event with gifts and by coming along. Sue Fellows mentioned that she had never seen so many cakes. Finally, of course, thanks to Santa for his presence. The mobile library timetable has been updated for 2013. Church services updated for November. The Conservators have called a special public meeting to discuss access into Rose Farm field on the Guarlford Road. It will be at 5:00 pm on Thursday 1st November in the Elgar Room of the Council House in Avenue Road (see noticeboard page). Hearsay is that the public and press may be excluded from discussion of this topic at the Board meeting on 8th Nov.
An event was held at Grange Farm Nirsery on 20th October to mark the launch of Jo Newell's autobiography. Click this link for more information on Horsing about with dogs and lorries. The village grapevine has picked up rumours of a developer seeking permission from the Malvern Hills Conservators for access to the field known as Rosebarn on the Guarlfor Road for a possible housing estate. The matter is likely to be discussed at the next meeting of the main board of the Conservators on 8th November 2012. If you have views, you might wish to write or talk to your representative before 8th Nov.
Coming up you will see on the notice-board there will be a meeting of the Parish Council on Monday 10th Sep, followed by the annual WI Produce and Handicraft Show the next day. Last week a very successful coffee morning was held at Grange Farm. at which about £300 was raised in aid of Canine Partners. Also coming up in October will be the annual Harvest lunch. Please book tickets with church wardens as soon as possible so food can be planned. A page has been added to the Guarlford History Group section about the church tithe of 1866. Telephone number for booking the Village Hall updated and alternative number added on 'Contact Us' page. New page added to the Guarlford History Group section about the interior of the church and memorials. Read about the village Diamond Jubilee Celebration Picnic on 5th June. The Madresfield School Fair planned for 21st April was cancelled as the weather forecast was poor - apologies to all those concerned. The Fair will now take place on 12th May - even if wet! 31st January 2012 Church services added for February and March. Church fabric report added to St Mary Reports, which highlighting the serious problem with theft. Following the retirement of Michael Skinner as the Clerk of Guarlford Parish Council on 31st December 2011 after 30 years service, his successor is Helen Sommerville. WI programme for 2012 added and church services updated. Local people were invited to choose the new colour scheme for Upton Bridge, but there seems to have been a mistake as instead of the subdued colour expected the bridge has been repainted bright yellow! On the night of 21st November metal thieves raided the church again stripping lead from the roof of the vestry and porch. The Malvern Gazette reports a spate of thefts in the area including theft of lead from Malvern College, The Chase School and St Peter's church, and manhole covers. Please be alert and note down the registration number of any suspicious vehicle. Consider also writing to your MP asking what active measures the government and police are taking to deal with the situation. Thieves stole the church bell from St Mary's, Guarlford, during the night of Thursday 6th and Friday 7th October. 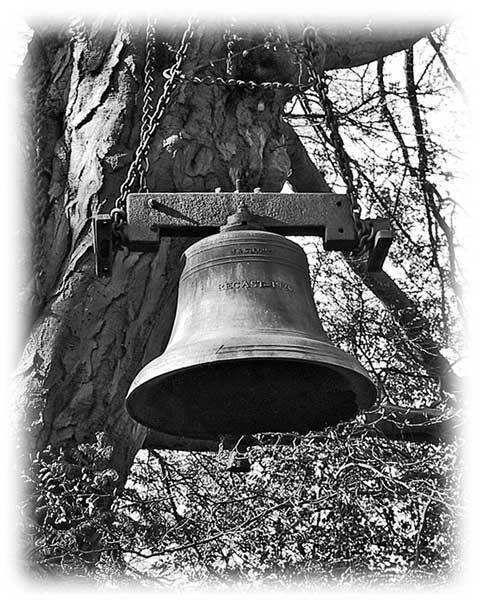 The bell had safely hung in a Hornbeam tree in the churchyard for nearly a century after the turret on the church roof was removed for structural reasons. The thieves cut the cable to the security lamp and tyre tracks suggest a heavy vehicle was involved. The bell which weighs about 200 Kg is marked at the top M&S.CO and in the middle 'RECAST- 1926'. The thieves had returned after being disturbed on Monday night. Update of Village Hall and Church Fabric reports. WI page amended to show 1:00 pm closing time of Federation Office. Addition of 'Lest We Forget' page. This includes mention of Olaf Petersen who lived with his Aunt at Old Elm Cottages near the junction of Hall Green with the Guarlford Road. Minutes of the Parish Council meeting on 13th December 2010 added and meetings before 2010 deleted from the PC meetings page. Notice of next PC meeting on 16th May added to notice-board. Link to a video of the 1993 Guarlford Village Fete added to the reminiscences page. Church services added for April and May. Don't forget to come to Daffodil Sunday at Madresfield on Sunday 27th March. The WI Quiz was well attended by about 60 people, who split into competitive teams of four. Spot prizes were awarded between the seven rounds and a snack of vegetable soup, roll and butter, and a choice of pudding was served at half time. Everyone had a good time and the competition was won by a team from Penny Lane. Mobile library timetable and W programme updated for 2011. Unusually we had a white Christmas. The snow first fell on the 17th December and remained until the thaw began on 28th. The weather was colder than average with the lowest recorded temperature being minus 15 deg C. Fortunately the main roads were kept clear, but there was plenty of ice on side roads to catch the unwary. It was reported that there had been an attempt to steal fuel oil from the church, so be on the lookout. A number of people in the Malvern area also reported burst pipes. Fortunately the snow held off enough for the U3A Welsh Group, which included some Guarlford residents, to go ahead with a festive lunch at the Worcestershire Golf Club at Malvern Wells. Suffice it to say that the meal was very good, and we were well looked after by the staff in comfortable surroundings. The Guarlford History Group, in association with the Madresfield History Project, hosted a presentation entitled "Great Great Grandfather and a Few Sheep" on Sunday 21st November, at The Village Hall, Guarlford. The talk, presented by Mike Beard, was illustrated with a series of slides (PowerPoint Presentation). Mike first established his credentials by showing census records indicating that the Beard family had been resident in Guarlford for over 160 years. By describing his research into his family tree Mike revealed two family mysteries, one culminating in the discovery of a Great Great Grandfather, Joseph Watkins, of Colwall, who was transported to Australia for stealing three sheep off Hook Common, Near Upton, in 1851. The second mystery involved plantation owners in Trinidad in the early 1900's. This mystery was never solved. Mike also included anecdotes of his family's life in Guarlford in more recent years. The talk was excellent and much appreciated by the audience of over twenty people. It was a warm and enjoyable experience on a cold day. Mike has transcribed the census records for Guarlford and very kindly presented a copy to the Guarlford History Group. For copyright reasons these cannot be put on-line, but can be made available to individuals for private research. Photos button added to the WI pages and November events added to the notice-board. The church warden of St Mary has created an interesting display showing photographs of the interior of the church as it was circa 1900. This can be seen on the south wall near the font. See also history of St Mary on this website. Sam Beard has kindly donated some books to the History Group, including histories of WWI and WWII. Mike Beard has been busy transcribing the census returns for Guarlford and has offered to give a Family History talk on 21st November (to be confirmed; please check notice-board for details). If you have memories or photos you would like added to the website, please contact the webmaster. Notice board updated. The next meeting of the Parish Council will be on 13th September. Note the mobile library will next visit Guarlford on 21st September. A reference has been added to the other publications page about an excellent new book relating the social history of the nearby villages of Hanley Castle and Hanley Swan from Norman times to the present day. On Tuesday 8th June Guarlford WI celebrated their birthday anniversary with dinner at 'The Dog at Baughton'. Everyone enjoyed the menu; the food was very good and plentiful and the service was excellent. Well-behaved dogs are allowed in the bar. 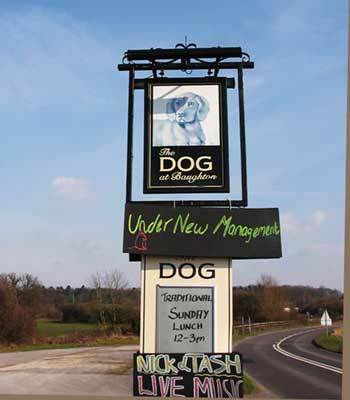 Directions: from Upton on Severn cross the A38 onto the Pershore road. 'The Dog' is about 2 miles further on, on the left. Members of the Guarlford WI and other ladies from the village are currently making comfort quilts in support of Project Linus UK whose aim is to provide a sense of security and comfort to sick and traumatised babies, children and teenagers through the provision of new home made patchwork quilts and knitted / crocheted blankets. Please get in touch if you would like to offer help or contribute materials (email: wifolk@guarlford.org.uk). More information about Project Linus can be found on their website. Following the article 'Guarlford's Yesterdays Today', in the parish magazine, memories have been received of the shopping centre in Barnards Green as it was between 1920 and about 1950. Do you have your own memories of the area that you would like to send us? Visitors to St Mary's will notice a new aisle runner. This has been funded from a generous bequest from a dear friend and supporter of the church. On an icy Boxing Day morning a blue Vauxhall Omega believed to have been approaching from Clevelode Lane skidded and crashed into the pond railings which had only recently been repaired following a previous crash. The joint holding two sections of the railings together came apart and the scaffolding pierced the front of the car. See Malvern Gazette.for photo and full account. September saw a meeting of the parish council, a coffee morning in aid of the ALF group and back to church Sunday. On 4th October a Harvest Lunch was held in the Village Hall after the Harvest Festival service in St Mary's. Thanks to all who helped decorate the church, provided the excellent food and washed up! Over £450 was collected in aid of Masasi. On Monday 5th October a car travelling from Malvern failed to negotiate the bend near the church and demolished the pond railings. Fortunately nobody drowned or appeared to be seriously hurt. Keith Chester has sent some more photos for the village archive plus a cutting from the Malvern Gazette May 27, 1944 reporting the rescue of the Beaufigter pilot by Charlie Williams. Click here to read transcript. A well attended meeting of the U3A Local History Group heard a fascinating talk by Rod Ellis about the history of the non-conformist chapels in Malvern based on his book 'Dissenters All'. This year the local service was held at Lansdowne Methodist church where we met to recall that in 1940 the RAF against all odds defended this country, and many gave their lives so that we can live and worship in freedom. The congregation was joined by members of the Royal Air Forces Association and cadets from the Malvern Air Training Corps. There was another collision at the junction of Chance Lane with the main Guarlford road at 4:30 pm last Thursday. Police, fire, and ambulance vehicles were in attendance and the main road was closed for about half an hour. 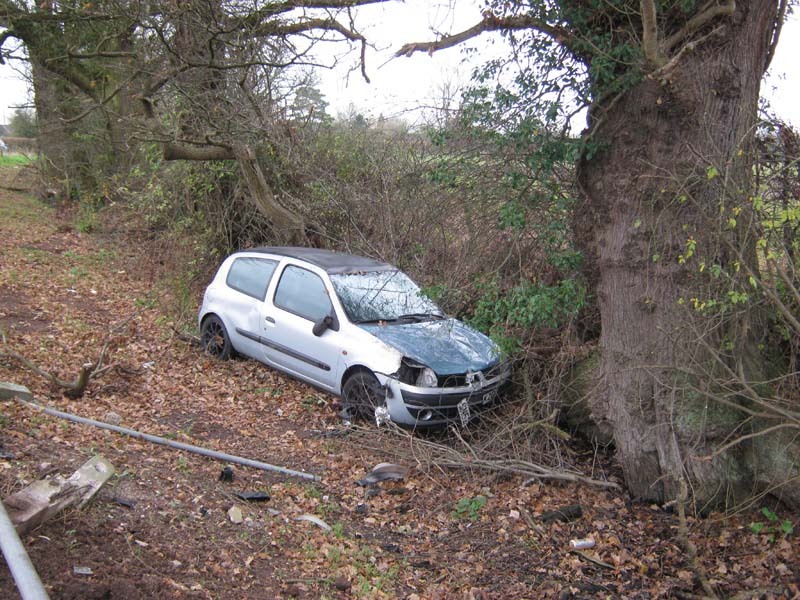 A similar accident occurred only recently, on 11th July 2009, and about a year previously a van travelling from Guarlford veered off the road presumably to avoid traffic waiting at the junction and demolished the 'Welcome to Malvern' sign opposite Chance Lane. All pages have now been updated with the new horizontal navigation bar. The menu text is larger than before and the buttons light-up when the mouse pointer rolls over . The top menu is unchanged, but the drop down boxes have been replaced by the lower menu bar. For example to access the pages about our books, click GHG on the top menu and then Publications on the lower menu. To read memories of people in the village simply click GHG and you will be taken straight there. If you get lost look at the site map accessed from the Home page which shows how the pages are organised. We are giving the web pages a fresher look, and at the same time, the menu buttons are being enlarged and simplified to make them easier to read. As a trial, the Home page has been modified which works with Firefox and Internet Explorer version 7. The remaining web pages are being updated gradually. If the new pages do not display correctly on your computer, please would you let the Webmaster know, using the email address below - and give details of the browser version you are using, for example IE5 or IE6. Parishioners enjoyed the Parish Picnic on Madresfield school field following Junior Songs of Praise last Sunday. Fortunately the rain held off and it was good to see members of the ALF group. Thank you to all those members of the parish who made cakes etc and supported the Canine Swimathon at Half Key Kennels in aid of Support Dogs. It was a good day with the band playing and the sun shining. Over £1,200 has been raised so far with some dogs still to swim. The Hanley Society 'History' Open Day in Hanley Swan Village Hall on Saturday 20th June was a great success and real treat for those interested in the history of the area. Outside the hall the authors of the book 'Blackmore Park in World War II', about the US Army hospitals at Blackmore Park 1943 - 45, had set up a display complete with US Army Ambulance! Those who enjoyed the first book will be glad to know a further book 'Return to Duty' is in preparation. In addition to displays about the Hornyold, Lechmere and other families, stands were manned by Malvern Museum and the Guarlford History Group. In a side room a DVD played of old cine film including footage of the Upton Floods and later in the day Charlie Williams spoke about farm memories. The Hanley Society have gathered a wealth of material and hope to publish one or more books about the area. Daffodil Sunday at Madresfield Court was extremely well attended and a record £9,000 was raised in aid of Guarlford and Madresfield churches. A special thankyou to Lady Morrison, Peter Hughes and all who helped to make the event such a success this year. Sam Beard has donated a bench in memory of his parents to the Village, which can be seen in the lobby of the Village Hall. Keith Chester who lived at the Homestead in Clevelode Lane has provided more memories about growing up in Guarlford between the wars These can be found on the memories page. A news article by the chairman of the Guarlford History Group for the Grapevine has been reproduced on the Future Programme page. Views from villagers are invited on how to continue the work of the group. In addition minor updates have been made to the notice-board, church services, Rector's message, WI and parish council pages. Sales of the new book 'The Guarlford Scene' have reached 500 but there are plenty of copies still available. The group is now compiling an archive of photographs and memories to be made available to interested researchers. Building links with other Local History Groups is also being considered and an exploratory meeting has been held with Hanley. There may also be the possibility of further events in the village hall. Let us know if there is anything that interests you particularly. Photos of 'The Guarlford Scene' book launch added to the photo gallery. Flying Circus, Poems and Tin Tabernacle pages added to list of memories. Growing up in the 1920s. Amy Neal recounts her early years in Guarlford. Copies of 'The Guarlford Scene' are now available to purchase from Beacon Books on Worcester Road Great Malvern, Grange Farm Nursery shop at Guarlford and from the authors. Books are selling briskly and we have received some very favourable reviews. A bargain at £10 RRP and an even better deal for residents. This would make an excellent Christmas present. Why not order copies while stocks last! The publisher has delivered our new book 'The Guarlford Scene' so the launch on Sunday 14th September will definitely go ahead. The route and frequency of the mobile library has changed. It will now call every three weeks at Guarlford, after lunch, between 2:20 and 2:50 pm. Web content updated to give advance notice of Book Launch on Sunday 14th September when the latest book about the village 'The Guarlford Scene' will go on sale for the first time. Link to 'Walk for a Summers Day' added to the Walks page, together with a shortened version suitable for printing at home. Draft walks removed. Link to Description of Village Hall Facilities added to the Hire Charges page. Link to Malvern Business Directory added to the Links page. Additions made to the Businesses page.